Depending on the purpose of a proposed fruit cage, there are a number of different netting varieties that can be selected. These nets come in a wide range of mesh sizes to protect your crops against even the smallest birds and animals. 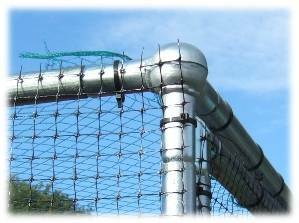 We provide an extruded polypropylene mesh for the sides and double-knit anti-bird netting for the top, both in pre-measured sizes and available in custom lengths to make the perfect fruit cage netting for your exact purpose. 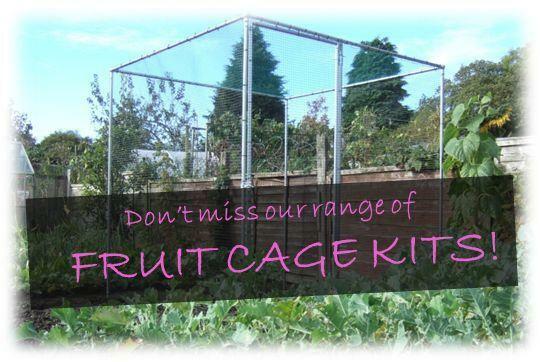 A range of Fruit Cage Netting for the top and sides of your Fruit Cage. Our Fruit Cage Side Net is made from polypropylene manufactured in a special way. After extrusion. the mesh is "stretched" so that the molecules align in such a way as to give an extremely high tensile strength to weight ratio. 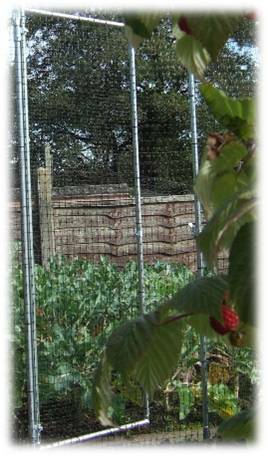 The Fruit Cage Top Net (Anti Bird Net) is a double knit HDPE. This is UV stabilised and rot proof to ensure you get a long lifespan from this netting. Don't forget, FREE DELIVERY on most orders over £100. 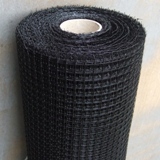 Extruded polypropylene mesh with mesh size of 17mm square. UV stabilised for longer lifespan, ideal for the sides of fruit cages. 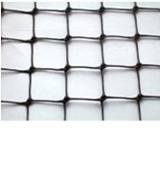 Double Knit Anti-Bird Netting, suitable for protection of crops against even the smallest birds with a mesh size of 17mm square. UV stabilised and rot proof making it ideal for the top of fruit cages. Extruded polypropylene mesh with mesh size of 17mm square. UV stabilised for longer lifespan, ideal for the sides of fruit cages. This 200m roll is ideal for commercial applications. Also see our range of Fruit Cage Parts for you to make up your own fruit cage to whatever shape fits your site, for example a C-shape or L-shape.